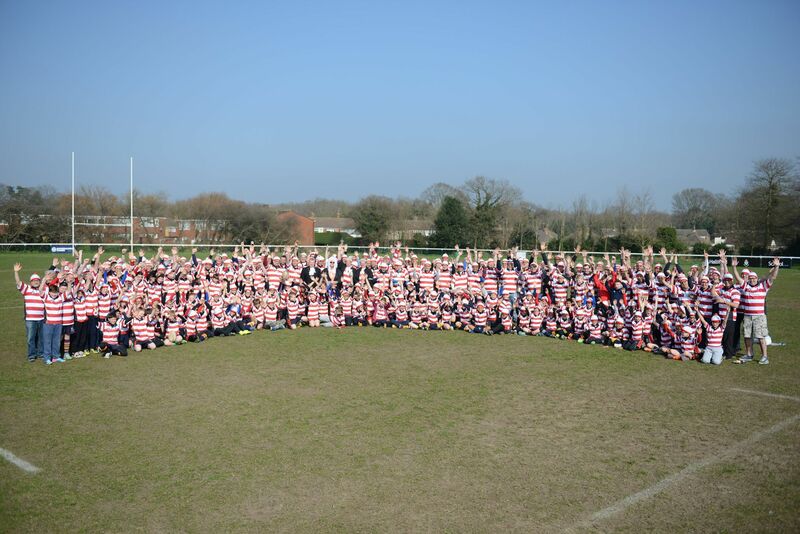 Near 300 Chobham Wallys enjoyed a brilliant Where’s Wally Tour in March 2015. They departed from Chobham Rugby Club on Friday afternoon 20th March leaving at 14:00 for an assault on the south coast. The mission? To have fun, play great rugby, make new friends and come home, tired but happy that we achieved our objective. Friday 14:00 pm the coaches left Chobham. We started in the New Forest, joining our hosts at Fordingbridge RFC, who looked forward to receiving the Wallys of Surrey. There were games for all age groups, including some additional visiting teams to ensure we all enjoyed good game time. After being fed and watered and making new friendships we departed for our base at Bunn Leisure in Selsey. On arrival at Bunn we were allocated our caravans for the weekend, which had been visited by the “food fairies”, leaving some basic supplies for breakfast for Saturday and Sunday. Friday night gave a chance for the older generation to discuss the day over a drink in the Ocean Bar. Saturday morning we made our way to Worthing RFC, who have been hosts for Chobham before and were well equipped to make this a great day with multiple teams attending to take on the Mighty Chobham. On our return to Bunn we spent time enjoying many different activities including international rugby, a fun fair, swimming, the beach and other amusements. We then had food served for everyone, whilst watching our teams in the Six Nations. Then on to the last leg, with a Sunday morning rugby festival at Bognor RFC. There we enjoyed some great competitive rugby as well as each other’s company before returning triumphant back to Chobham on Sunday afternoon, having had a thoroughly great weekend. Check out our Minis Tour 2015 Facebook Page for the latest updates. Contact the Tour Chairman Richard Williams or your age group TLO: u9s – Colin Hall , u10s – Toby Kelly , u11s – Tom Buxton or u12s – Geraint Parry .